Colorado Springs Dance classes & lessons, Ballet, Hip Hop, Jazz, tap. As a premier dance studio in Colorado Springs, Revolution Dance Academy provides dance classes to children and adults with an opportunity to explore the world of dance, to learn and develop solid technique, and to enrich their appreciation for the various forms of the performing arts. Our team of dance instructors have the experience and education to be innovative, inspiring and dedicated to providing responsible, careful, thorough instruction for all levels and ages. Revolution Dance Academy is a training dance studio for students, ages 3 to adult, who are interested in exploring various dance styles, Our recreational dance programs offer dance classes and instruction for all levels and abilities. Our dance classes include: ballet, modern, tap, jazz, combination classes (ballet/tap/creative movement) for the preschooler. Specialty dance classes include: musical theater/broadway dance, hip hop, contemporary/lyrical, leaps and turns, zumba. Our dance program offers a season of dance from August to May culminating with an annual recital the weekend after Memorial Day. Students at the school are also given other performance opportunities as part of our company of dancers, dance showcases, community service opportunities, workshops with master teachers, nutrition workshops, and career-related topics such as audition preparation. Revolution has dance competition opportunities for groups and individuals, through our Performing Arts Ensembles (PAE) to participate in our Company of dancers. By audition only, Revolution, provides the opportunity to be a part of our company. 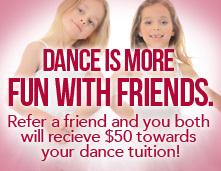 Please call 719-637-8033 or email office@revolutiondanceacademy.net if interested. The Summer RDA Dance Programs are held in June/July. 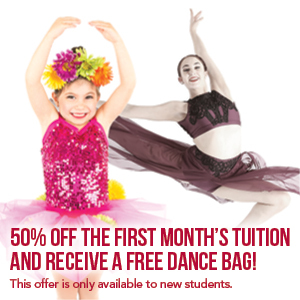 Offering all classes, summer dance camps and intensives. Our Annual Ballet Intensive takes place the first week of June, 5 hours/ day for 5 days culminating with a performance for parents and friends. Our dance program offers a season of dance from August to May, culminating with an annual recital the first weekend of June. We offer an annual Ballet Intensive early in June and a full curriculum Summer schedule with guest teachers and more! Throughout the RDA dance season, students are given other performance opportunities, such as; becoming part of our competitive Performing Arts Ensemble, dance showcases, community service projects in Colorado Springs, workshops with master teachers, nutrition workshops, apprentice program and career-related topics like audition preparation.